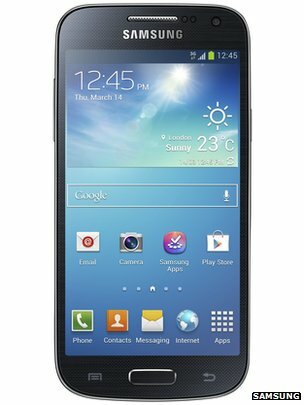 Samsung has launched the Galaxy S4 Mini, a smaller and cheaper version of its flagship smartphone. The device has a 4.3in (10.9cm) screen, which is slightly bigger than its predecessor, the S3 Mini. The company will show off the smartphone at an event next month, but has not yet given a date for when it will go on sale. The 5in (12.5cm) S4 phone launched in April, and according to Samsung has sold more than 10 million units. The mini version, the specifications of which were leaked online earlier this week, will need to convince consumers that it is not simply an underpowered phone sold with the help of Samsung's "premium" Galaxy brand. Last year, the company released the S3 Mini, which was criticised at the time for being much less powerful than its bigger sibling. "Those hoping Samsung's Galaxy S3 Mini was simply a smaller version of the company's flagship phone may be disappointed," wrote technology news site GigaOM at the time of the S3 Mini's release. "This is for the budget market." Another site, knowyourmobile.com, said: "Given the competition, [it's] way too expensive for what's on offer." The S4 Mini has an eight-megapixel camera on its rear, compared with the S4's 13 megapixels. The Mini's 1.7GHz dual core processor is also less powerful than the quad-core chip found in the larger model. But such hardware downgrades were understandable, said Nick Dillion, mobile analyst for Ovum. "The point of it is to offer some of the bits of flagship device to a user who isn't quite as demanding and doesn't want the latest features and spec. "They are shaving off price with the processor and screen and memory and so on - but the experience will be similar." Samsung said many of the software functions shown off at the S4's glitzy launch earlier this year would be available on the cheaper model. The S4 Mini is the company's latest move in its strategy of offering a smorgasbord of shapes and sizes of its devices to customers - rather than Apple's one-iPhone-per-year approach. At a recent conference, Apple boss Tim Cook said his company did not want to get "defocused" on having multiple lines, but did not rule out future variants of the iPhone. "It takes a lot of work, a lot of really detailed work to do a phone right when you manage the hardware, the software and the services around it," Mr Cook said. "We've chosen to put our energies into getting those right." At Samsung's event on 20 June, analysts and insiders predict even more products on the Galaxy brand, potentially including a model with optical camera zoom functionality, as well as a waterproof phone. "They almost make every single permutation of a device as possible, seemingly to test out the market - they've had a certain degree of success with that, especially if you look at the [8in] Galaxy Note. "That was very much an experiment. It's proved to be a very popular device that has spawned a whole new market segment."